Twitter has finalized a $40 million deal to buy popular third-party client TweetDeck, according to a CNN report. Twitter and TweetDeck are yet to confirm the acquisition, which was first reported by TechCrunch this month, with Twitter's global PR account saying "we continue to not comment on rumors." TweetDeck is one of the most popular third-party Twitter clients and the tool of choice for power users because of its multiple timeline capabilities. But in a crusade for consistency, Twitter has been aggressively expanding its offering of native clients across various operating system, and snubbed the idea of third-party clients. 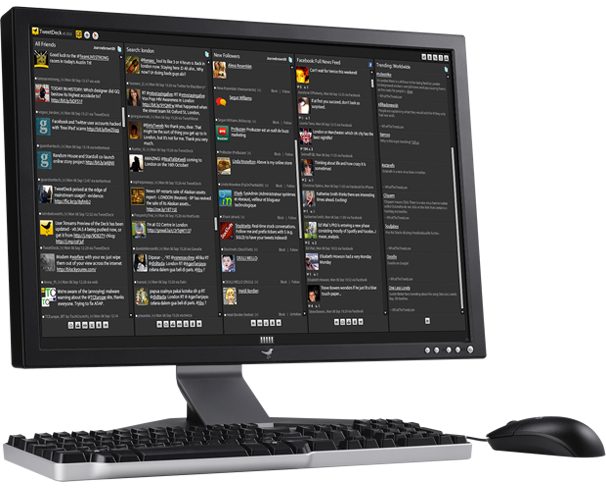 TweetDeck is the tool of choice for power users because of its multiple timeline capabilities. The story of the TweetDeck acquisition goes back to April, when the Wall Street Journal reported that Twitter was "advanced talks" to buy TweetDeck. This started a so-called bidding war between Twitter and UberMedia, which has three popular third-party mobile clients. UberMedia had reportedly negotiated to acquire TweetDeck but Twitter crashed the party. Twitter's deal to buy TweetDeck was almost complete by the beginning of May, when TechCrunch reported the deal was worth between $40 million and $50 million. CNN confirmed the papers finalizing the Twitter/TweetDeck deal were signed Monday, worth $40 million in a mix of cash and stock. Why would Twitter want to buy a third-party client? Twitter's acquisition of TweetDeck is seen mainly as a defensive move. UberMedia already controls a significant chunk of users through its mobile apps, and TweetDeck would have given the company more leverage against Twitter's plans to deter new third-party clients to duplicate the functionality of its official apps and website. Since Twitter did not confirm or comment on the TweetDeck deal, we have yet to see what will happen to the popular third-party client.